SHAMA'S EASY2COOK RECIPES: RE-ANNOUNCING FAST FOOD EVENT SERIES !!! RE-ANNOUNCING FAST FOOD EVENT SERIES !!! 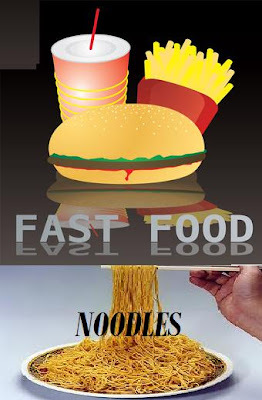 At this special moment , i am happy to re-announce Fast food event - Noodles for the month of August .I started this event last May ,but couldn't continue this series due to one or the other reason . Hence , wish to continue it now . So, starting from the intial theme , Noodles . 1) Cook any healthy recipe with Noodles both Vegetarian and Non-Vegetarian . Post it in your blog and link it back to the event . 2) Multiple recipes and also archieved entries are allowed. 3) Rush your recipes to shamanagscrafts@gmail.com before August 31st,2012 .You can link your recipes here too with linky tool provided . 4) Waiting for your lovely recipes . Will definitely participate dear!!! btw, Can I enter vermicelli recipes?? wow... Nice theme dear... will surely send my entry... Happy hosting !! Hi dear I would like to participate but Im not sure how to link it....mind helping me? Nice theme Shama, I would definately try to participate in the event. Nice event. Will post my entries soon. Happy hosting!! Nice theme Shama. I am in. Great event. I definately participate your event. Happy hosting..
Lovely event..sure will send some entries..all the best ! Great event! I'll be submitting an entry soon! Hey, I was not aware with this event. Thanks for leaving comment on my space. Glad to be your follower. Soon I will send my entries. Happy hosting dear. Thanks for inviting.. Sure will some recipes to your event..
Lovely Event.Just linked my entry ..
thanks for warm response ..
surely next month will send this entry ... good to know upcoming event..Happy hosting Dear. Thank you i will practice this,nice noodles next time i want to try chicken Fried Rice Recipe thanks for this post. AWARD AND REPOSTS FOR EVENTS !!! I have a passion for cooking and handicrafts . I started this blog to share my recipes with all my friends . The Recipes in this blog are my own tried recipes learnt from my mom , friends , magazines , cookery shows and my cousins . Measurements of masala powders used in the blog is according to our taste buds , you can change them according to your taste. Feel free to give your suggesstions .